If you are looking for country living which still offers the convenience of the city; this is your home. This custom built home boast many features. 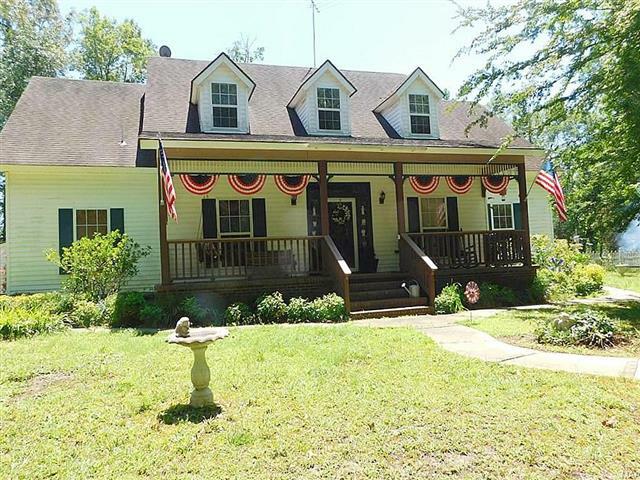 To start the 12.37 +/- acres will provide you plenty of privacy while enjoying the beauty that country living in Alabama provides. Also, the 3148 sq ft of living space will afford you ample space to furnish this country oasis. The home has 4 bedrooms, 2.5 baths, and living room area with a wood burning fireplace, kitchen, dining room, and laundry room. The laundry room leads into a one-car garage, which has a room above the garage for an extra family room, “Man Cave or She Shack” there is also access to this room from inside the home as well. Outside you will enjoy the in-ground concrete pool, owner fashioned outdoor kitchen and bar, which is great for entertaining. The pool area is enclosed on all sides and opens to the sky. A 2-car metal carport as well as 2 green houses and a gold fish pond are located just outside the home.